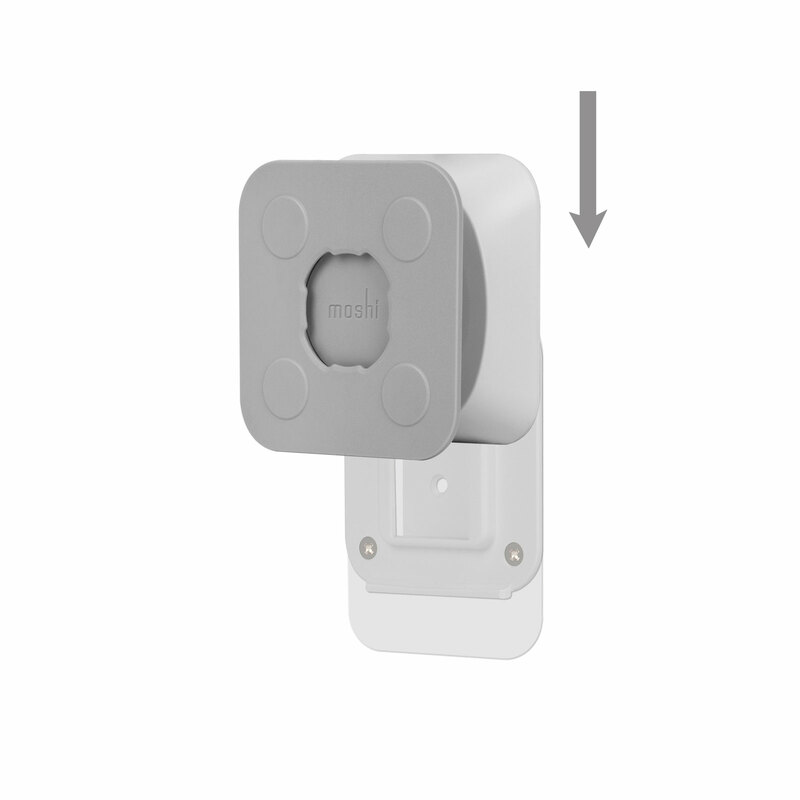 Mount your MetaCover with iPad to any surface. 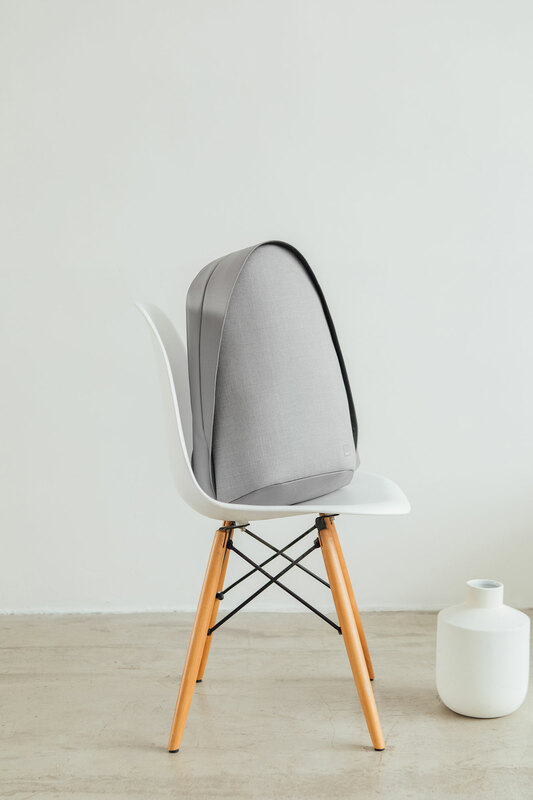 Includes 2 adhesive pads for flexible viewing options. 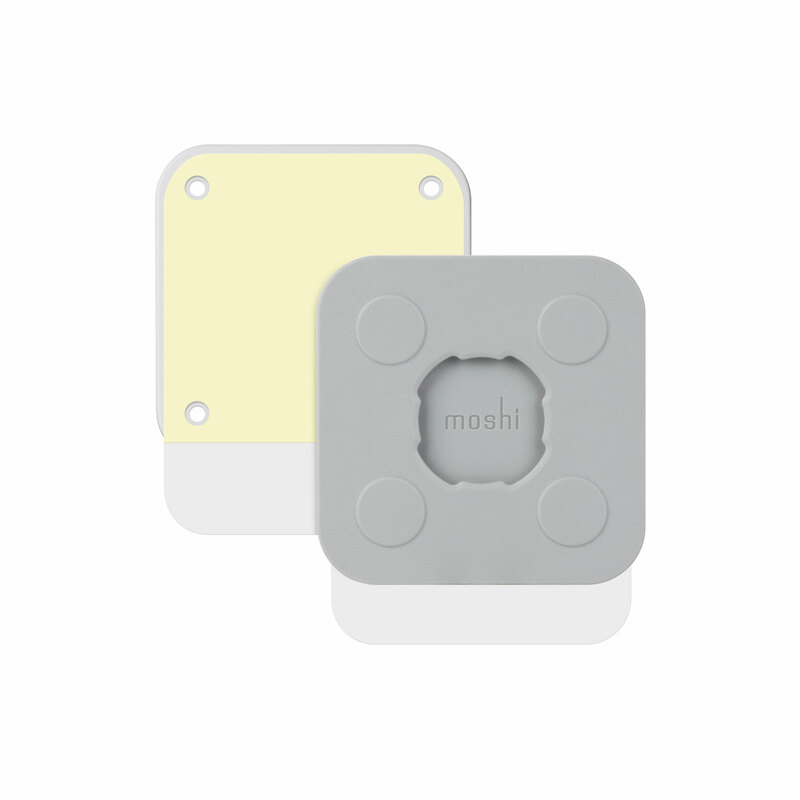 Designed for the MetaCover Series, Moshi's Wall Mount lets you mount your iPad to any flat surface using an extra-strength, no-residue adhesive backplate. Save countertop space in the kitchen, keep your device away from grease in the garage, or mount your iPad as a second monitor in the fitness room. 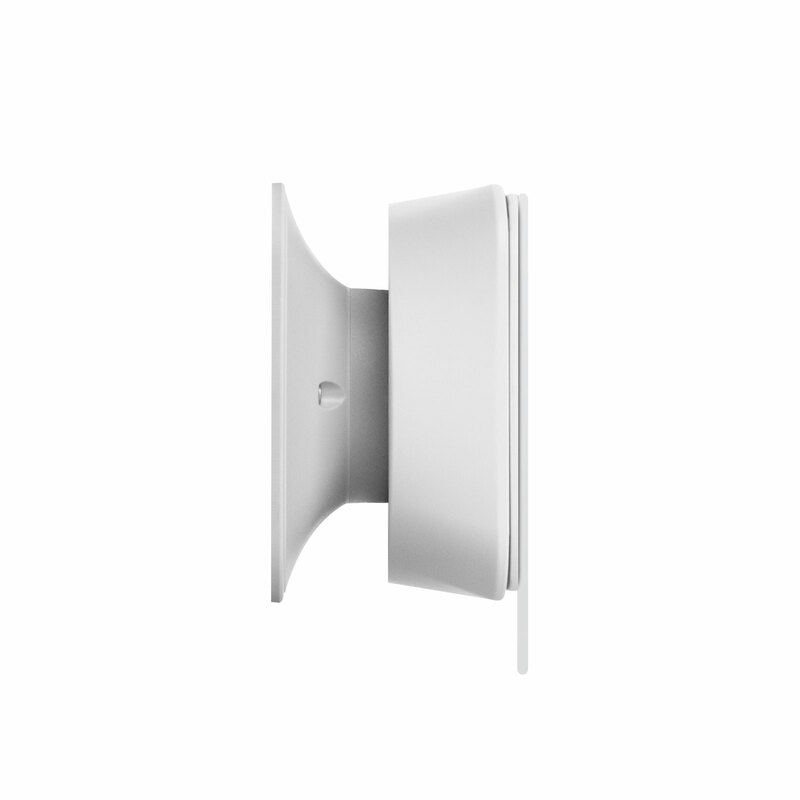 While other mounts only provide straight-on viewing, Moshi's Wall Mount features an adjustable dual-hinge design that offers a 30-degree viewing angle in all directions. 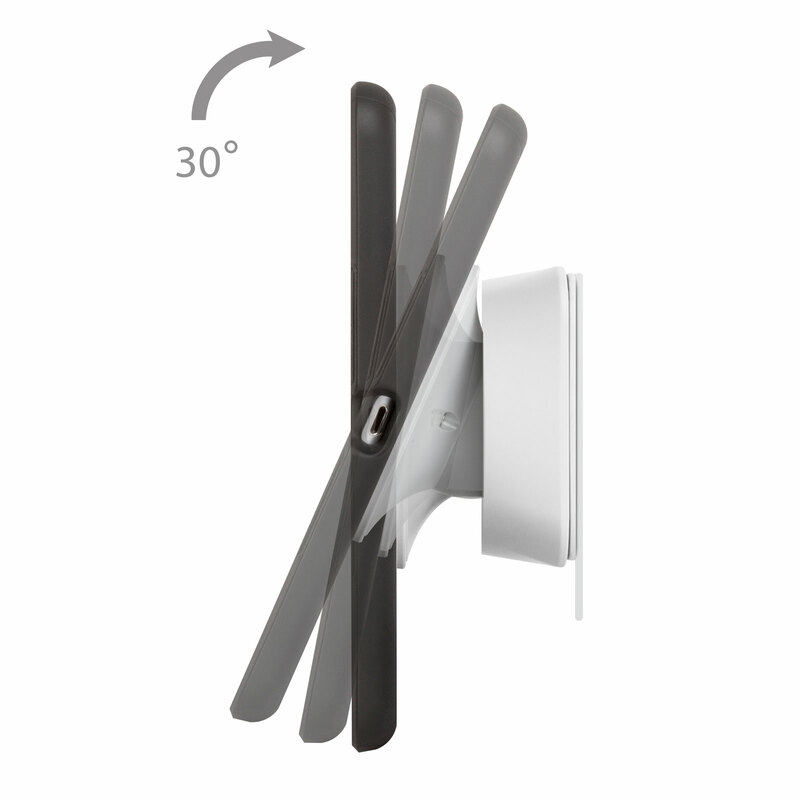 No tools required, mounting and demounting your iPad is fast and secure thanks to a magnet-assisted connection port. Extra adhesive backplate included. Moshi's MetaMount Series Wall Mount is idea for users looking to get more from their iPad by mounting it in new and creative locations. 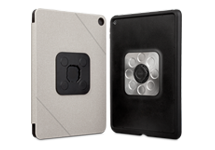 Extra-strength, no-residue adhesive backplate for mounting to flat surfaces. 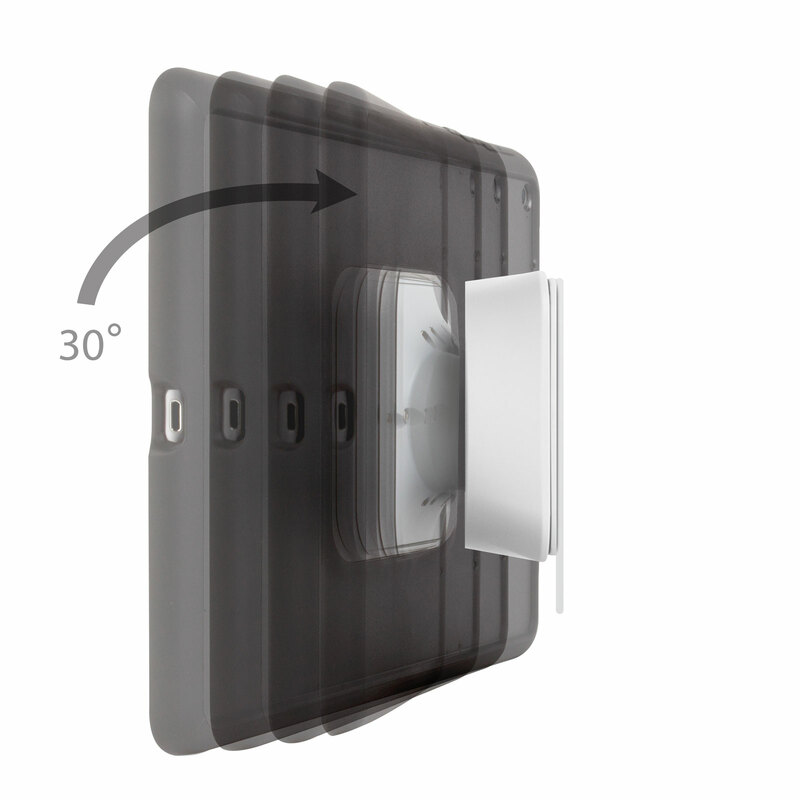 30-degree viewing angles in both portrait and landscape mode. Proprietary dual-hinge head design for long-term reliability. 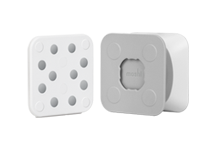 Magnet-assisted female port for easy mounting and demounting.